All the discussions and admonitions that we hear and engage in around the issue of plagiarism usually leave me a bit unsettled because they tend to be so “black and white,” with very little acknowledgement of the nuances that leave most students and novice writers unclear and confused. So when I came across this excellent Poynter.org MediaWire article – “Is it original? An Editor’s Guide to Identifying Plagiarism” published in September, I vowed to share it with all INANE readers! 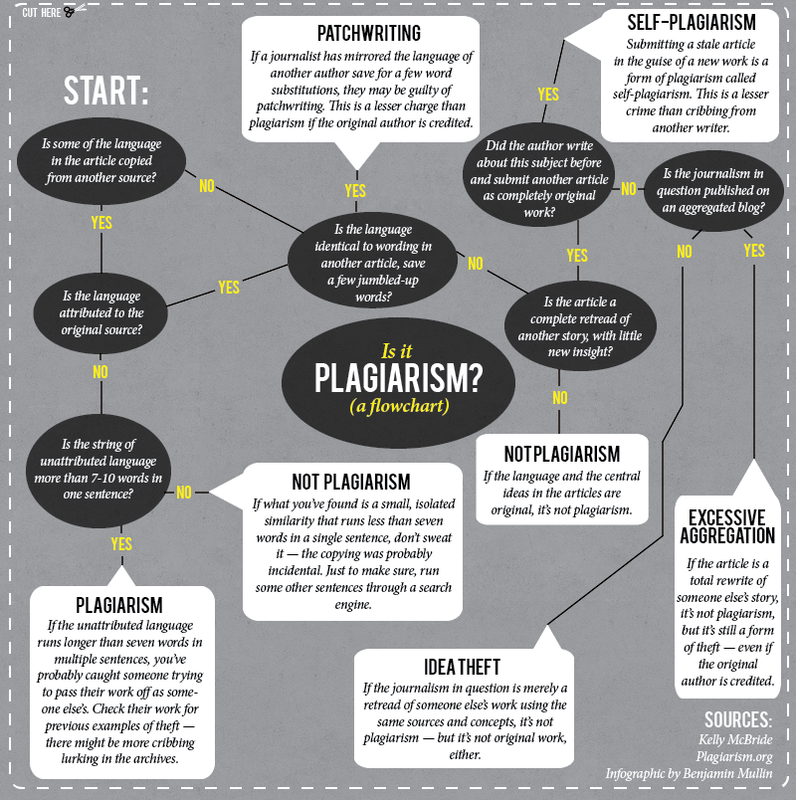 There are, of course, excellent resources online to help address plagiarism as a more complex issue with many shades of grey – particularly Plagiarism.org’s “Types of Plagiarism” and iThenticate has an interactive web page that addresses types of plagiarism that they identify. But the Poynter.org article provides the chart below that is available to either download as a PDF, or save as a PNG file – a useful resource to keep posted near your workspace! This can even be used as a teaching tool! This entry was posted in Resources, Writing and tagged plagiarism by peggychinn. Bookmark the permalink.